At Good Guys Contracting, we want to do everything possible to help make your home look its best and one way we do that is by installing Marvin Windows and Doors in your home. Whether you’re looking for a more modern wood finish or the strong and dependable Ultrex® fiberglass windows, Marvin Windows and Doors is the best choice to upgrade your home. Aside from Marvin Windows and Doors looking great, they are also energy efficient and dependable, giving you years of high-end performance that you can’t get from other windows and doors. Marvin Windows and Doors also offers a warranty that is second to none. With over 100 years of experience in the field, Marvin can assure you that you’re getting nothing but the best! There are several reasons why many people are using fiberglass windows and doors today. One of the main reasons is their strength and durability. Ultrex® pultruded fiberglass windows are 8X stronger than vinyl and are just as strong as steel. They can also resist expanding and contracting during temperature swings which are incredibly important considering the Long Island weather. Marvin Windows and Doors are Energy Star qualified, so you know you’re getting a top of the line product that will last you for several years to come. Good Guys Contracting has nearly 20 years of contracting experience and specializes in window and door replacement on Long Island and in Brooklyn, NY. 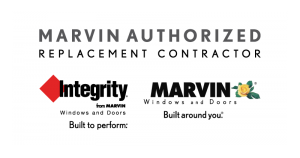 We are proud to be a Marvin Authorized Replacement Contractor and carrier of Integrity Windows and Doors. 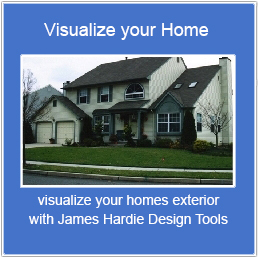 We also offer other services such as James Hardie Siding, which allows us to be your universal contractor. Contact us by giving us a call at (631) 559-6420 or call our Brooklyn location at (718) 285-0285 today!